A job wraps one of these actions and tracks the execution against a set of devices that is defined by a device twin query. For example, a back-end app can use a job to invoke a direct method on 10,000 devices that reboots the devices. You specify the set of devices with a device twin query and schedule the job to run at a future time. The job tracks progress as each of the devices receive and execute the reboot direct method. 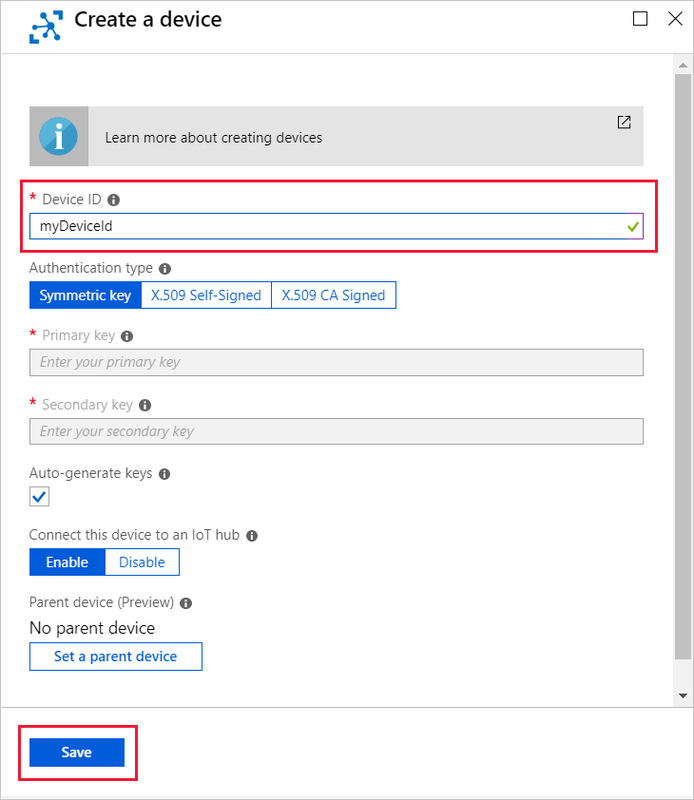 Create a device app that implements a direct method called LockDoor that can be called by the back-end app. Create a back-end app that creates a job to call the LockDoor direct method on multiple devices. Another job sends desired property updates to multiple devices. 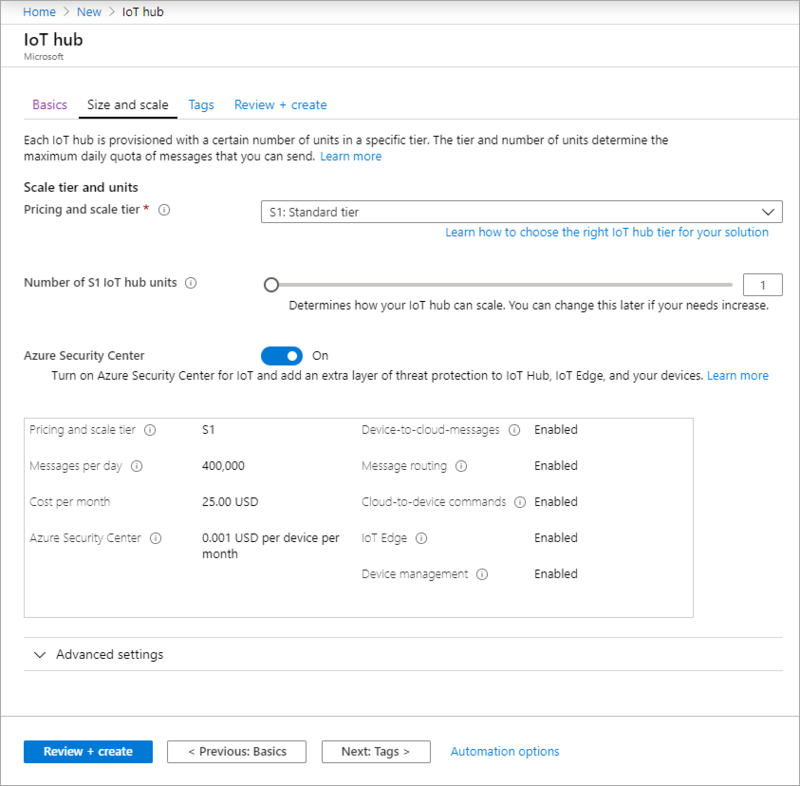 SimulateDeviceMethods that connects to your IoT hub and implements the LockDoor direct method. ScheduleJob that uses jobs to call the LockDoor direct method and update the device twin desired properties on multiple devices. 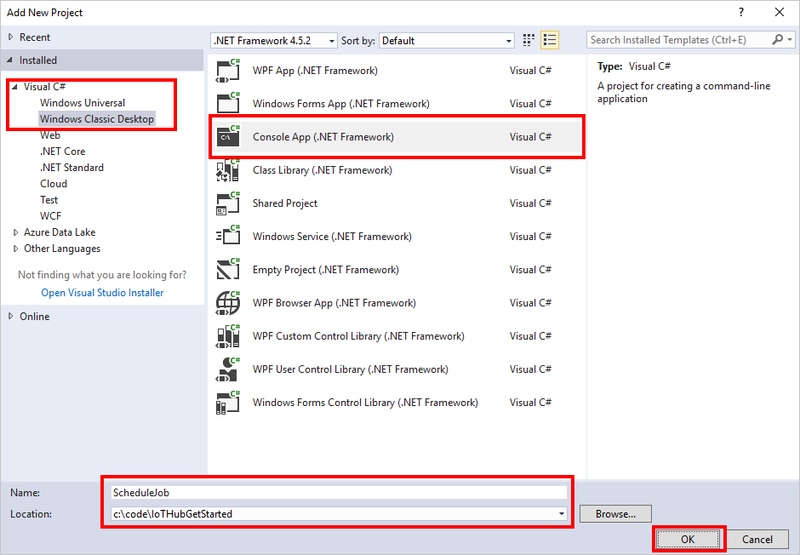 In this section, you create a .NET console app that responds to a direct method called by the solution back end. In Visual Studio, add a Visual C# Windows Classic Desktop project to the current solution by using the Console Application project template. Name the project SimulateDeviceMethods. Save your work and build your solution. To keep things simple, this tutorial does not implement any retry policy. 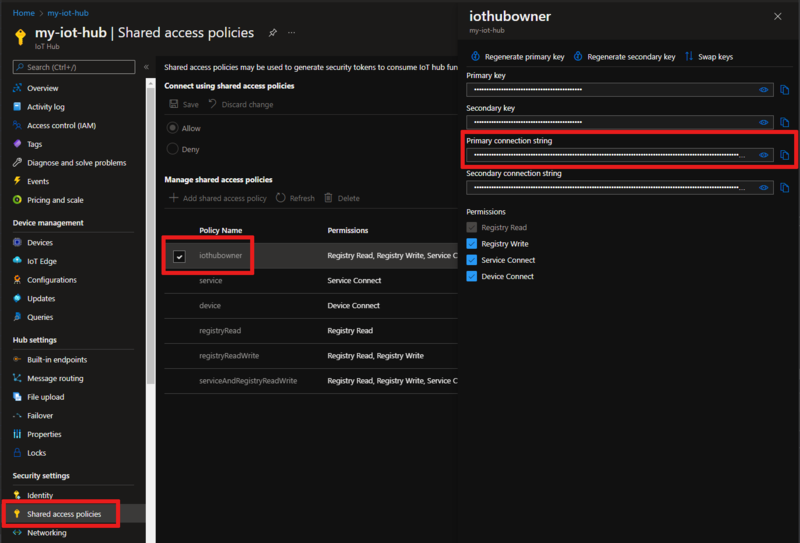 In production code, you should implement retry policies (such as connection retry), as suggested in the article, Transient Fault Handling. 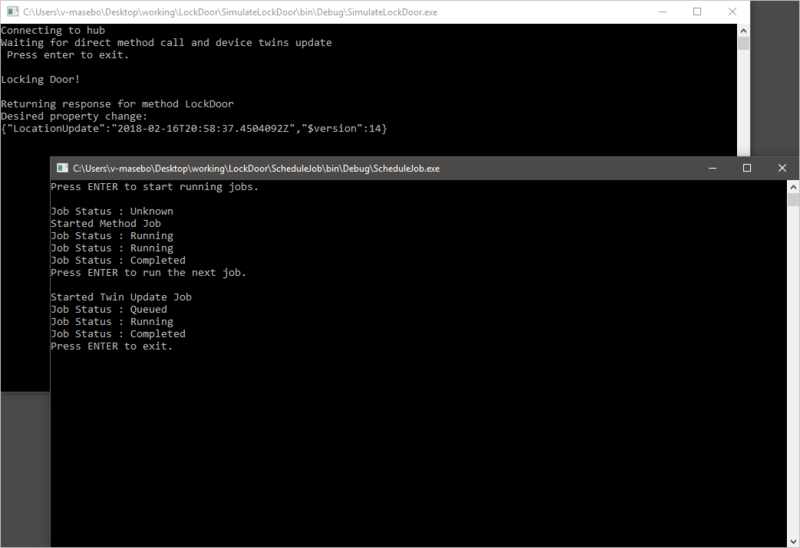 In this section, you create a .NET console app (using C#) that uses jobs to call the LockDoor direct method and send desired property updates to multiple devices. In Visual Studio, add a Visual C# Windows Classic Desktop project to the current solution by using the Console Application project template. Name the project ScheduleJob. Add the following using statement if not already present in the default statements. Add the following fields to the Program class. 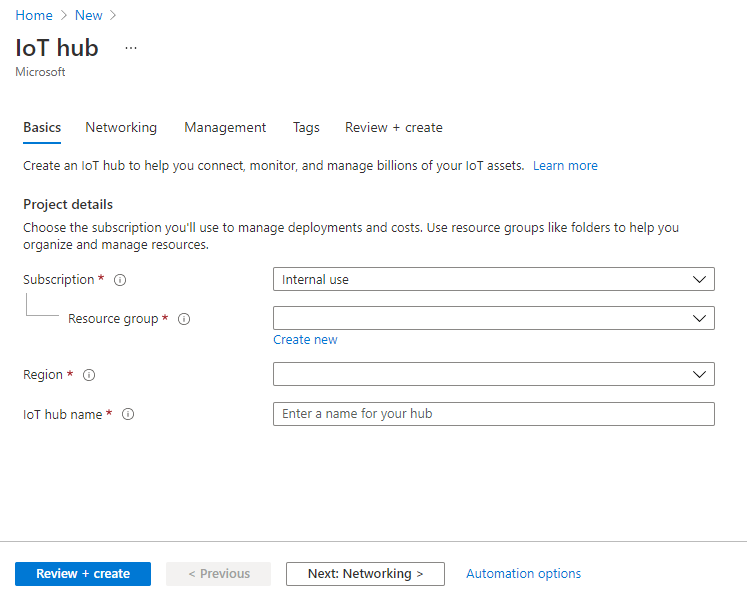 Replace the placeholders with the IoT Hub connection string for the hub that you created in the previous section and the name of your device. For more information about query syntax, see IoT Hub query language. You are now ready to run the apps. 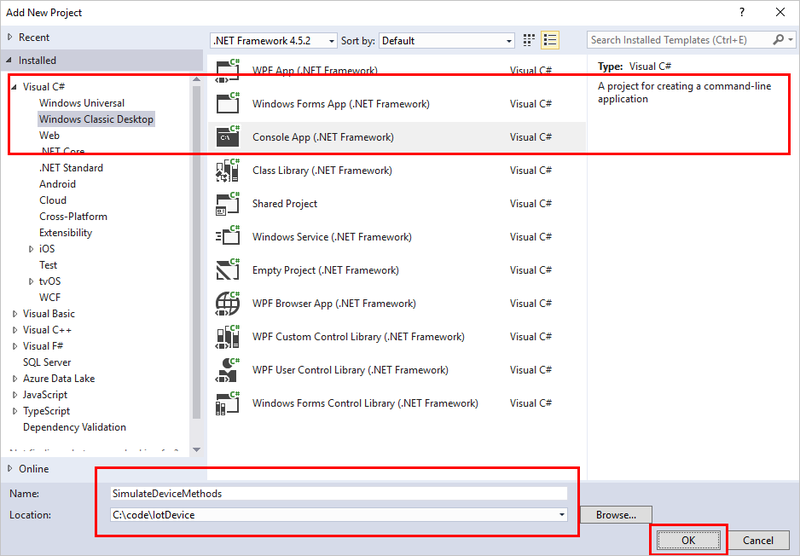 In the Visual Studio Solution Explorer, right-click your solution, and then click Build. Multiple startup projects. Make sure SimulateDeviceMethods is at the top of the list followed by ScheduleJob. Set both their actions to Start and click OK.
Run the projects by clicking Start or go to the Debug menu and click Start Debugging. You see the output from both device and back-end apps. In this tutorial, you used a job to schedule a direct method to a device and the update of the device twin's properties. 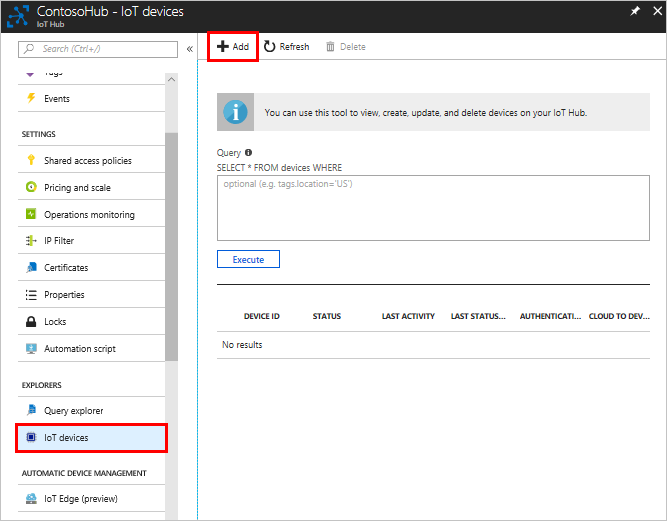 To continue getting started with IoT Hub and device management patterns such as remote over the air firmware update, read Tutorial: How to do a firmware update. 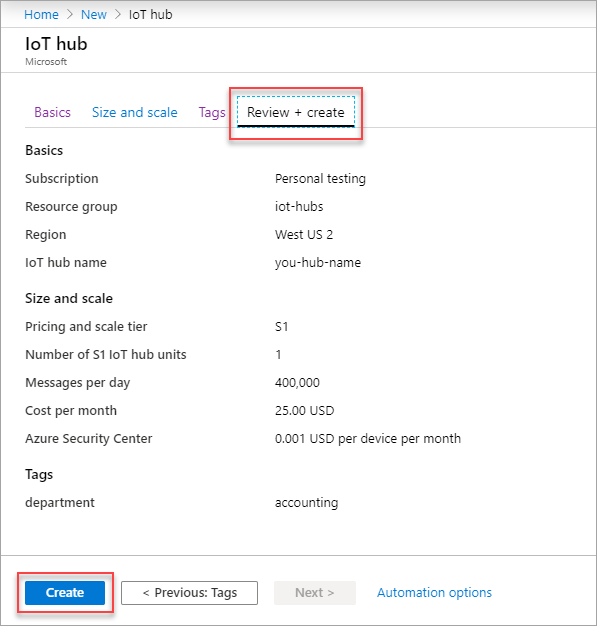 To learn about deploying AI to edge devices with Azure IoT Edge, see Getting started with IoT Edge.